The last thing you ever want to do is throw spoiled, raw meat into the garbage can all willy nilly! And not only that, you don’t want to throw any type of raw meat into the trash during the summertime. Just imagine all of the smells! When you’re disposing of raw meat, there are a few things you want to keep in mind. Protect Your Hands – Before handling raw meat (especially meat that has spoiled), make sure you protect your hands with latex gloves. 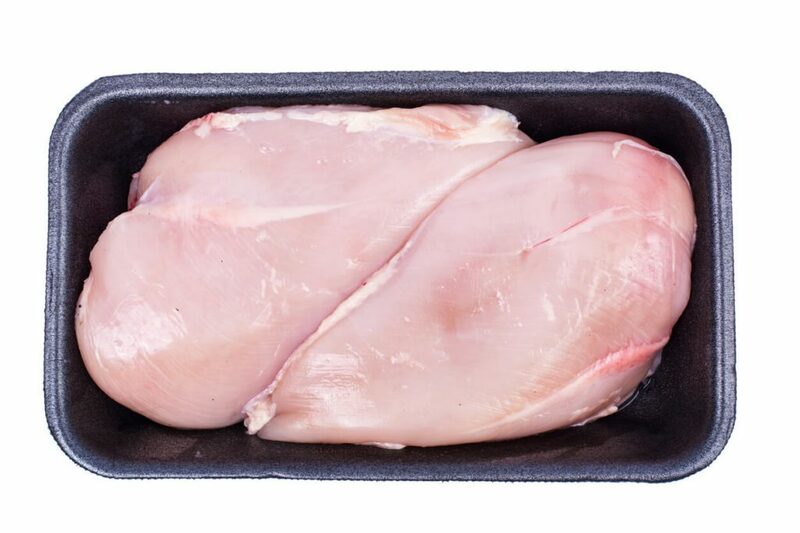 Raw meat that needs to be thrown away can contain a LOT of bacteria that can cause you to become sick if ingested. Not protecting your hands could cause the spread of this bacteria if you don’t take the time to wash your hands thoroughly with antibacterial soap. Keep It Together – When throwing raw meat away, leave it in its packaging. You want to minimize the amount of handling so you reduce the risk of spreading any harmful bacteria. Throw Away ASAP – When you place meat and its packaging in the garbage, immediately tie up the garbage bag and take it outside. Leaving the garbage inside can cause your home to smell as the meat continues to spoil. Place the bag inside of your outdoor garbage bin and ensure the lid is completely closed. Failing to do so can attract wild animals to come check out their next meal. Freeze During Summer – When raw meat is placed in a garbage can outside during the summer, you’re just asking for trouble. It’s going to create the most putrid smell you probably have ever smelled. To avoid this (and luring a pest infestation toward your home), place all of your spoiled meat into a large food storage bag. Seal this bag and place it in the freezer until the morning of your normal garbage pickup. Wash Everything – Once the meat has been disposed of, make sure you wash everything that handled it with the proper cleaner. Throw out the gloves you used, wash any surfaces the meat came in contact with, and even double check where you walked to ensure no juices or blood spilled or splattered anywhere. Finish off by washing your hand thoroughly. Raw meat should be handled delicately and in a very specific way. When you have questions regarding your garbage or recycling, be sure to give us a call and we’d be happy to assist you!